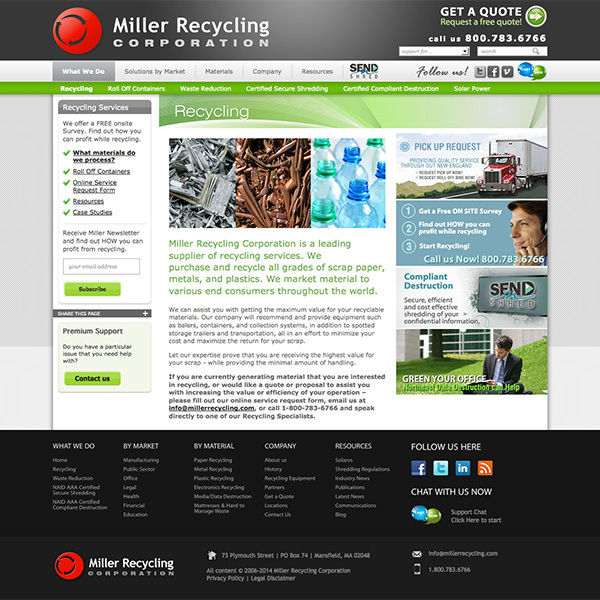 Miller Recycling was designed by a strategic partner in Boston, MA. I was in charge of development of the project. 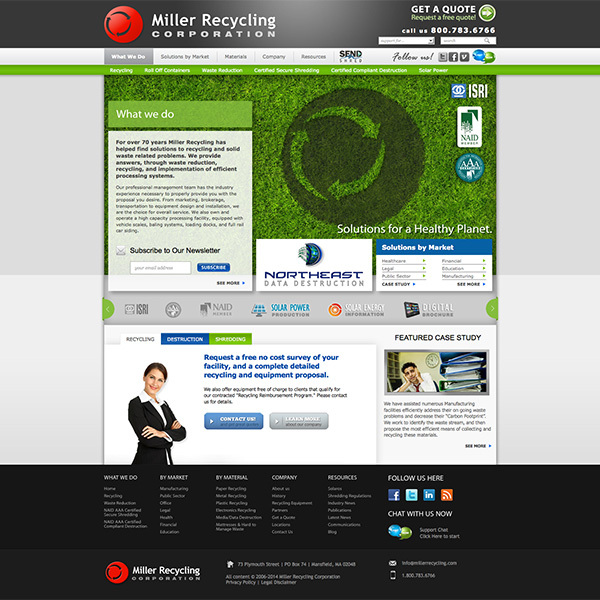 The design was a bit of challenge with the amount of dynamic information required on the home page. A challenge I was able to convert into a successful project. My partner and their client were very happy with the end result. Entire site was built on the WordPress platform.